No extra charge for airport or cruise pick up. Enjoy a full-day exploration of Brooklyn. I will pick you up at your hotel for a tour that runs from 9am to 4pm You'll travel by air-conditioned mini van. I am a NYC licensed taxi driver and a NYC licensed tour guide which is unusual. i started my tours in 1998 when i retired from the USArmy. Included is a free pickup at the airport. I like the kiddies and the older folk are welcome (room for a walker) i am a nice grandfather. Tour can be customized and I will even find your grandfather's house in NYC where you were born. - What happens if you cancel the tour? On the day of the tour? Shhh. Ask Peter. The Big Apple is a unique city filled with life and vibrant neighborhoods. On this full day tour of Brooklyn you'll see what makes this area of the New York truly special. 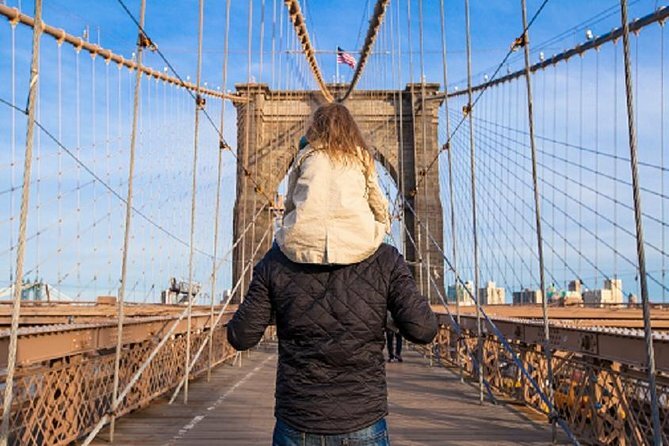 From art to food and the famous Brooklyn Bridge; there is some part of Brooklyn culture that resonates with each individual. With a native New Yorker as your guide you are certain to have an authentic experience. Your guide will offer commentary for each site you visit. Let them know ahead of time if there's something at the top of your list and get your camera ready!